Took about 10 days to arrive Hong Kong; in perfect shape; decent quality build. The Surf 2x is installed into the sump of an existing tank (about 4 months old) with a protein skimmer concurrently running (skimming aggressively). I do have some growth of what I believe to be lyngbya on the substrate and covering the back walls (they are brownish -yellow in color, instead of green, and no trapping of air bubbles is sighted, so I do not think it is GHA). Will track the green growing progress; began with using the black cloth provided to cover 50% of the LEDs, as instructed. I plan to initiate a 3-day blackout at the 7-day mark (with the Surf 2x running of course). 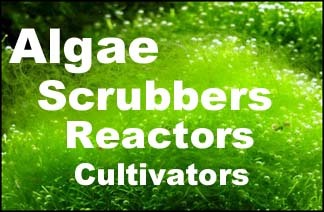 You probably will want to wait on a blackout, so see what the growth pattern of the scrubber is. Blackouts put lots of nutrients into the water, which you don't want to do if the scrubber is growing dark slime. Better to keep the periphyton on your rocks alive, so it can keep doing it's natural filtering and feeding for you. I had my doubts for a bit. This looks like it is working, right? Thank you SMF for a great product.